Golly and i were talking the other day about different lid thermometers over the years (yeah i know , a stimulating conversation) and noticed there's been some subtle differences over the years and wondered if anyone else had noticed? Ive never seen the last one. Wonder what that was used for? 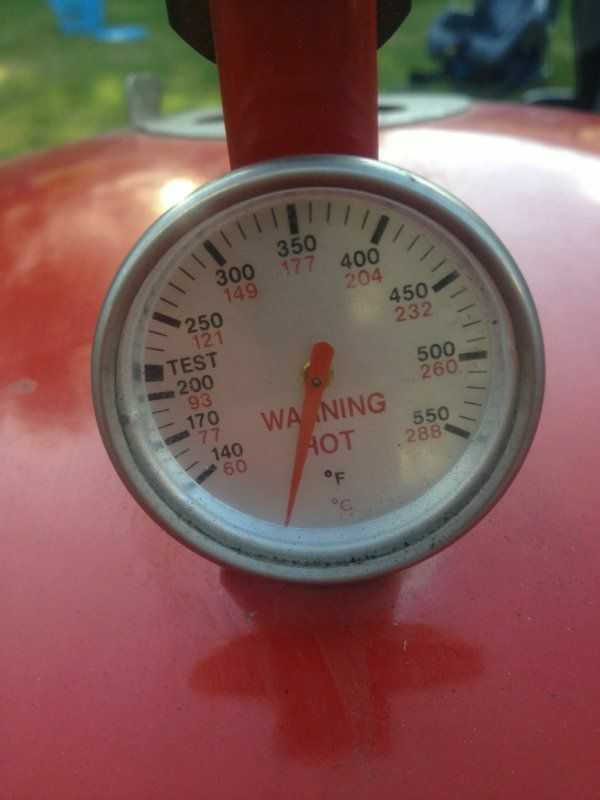 That last one only going to 230° F is odd. Even smoking some people use a hotter temp than that at times. 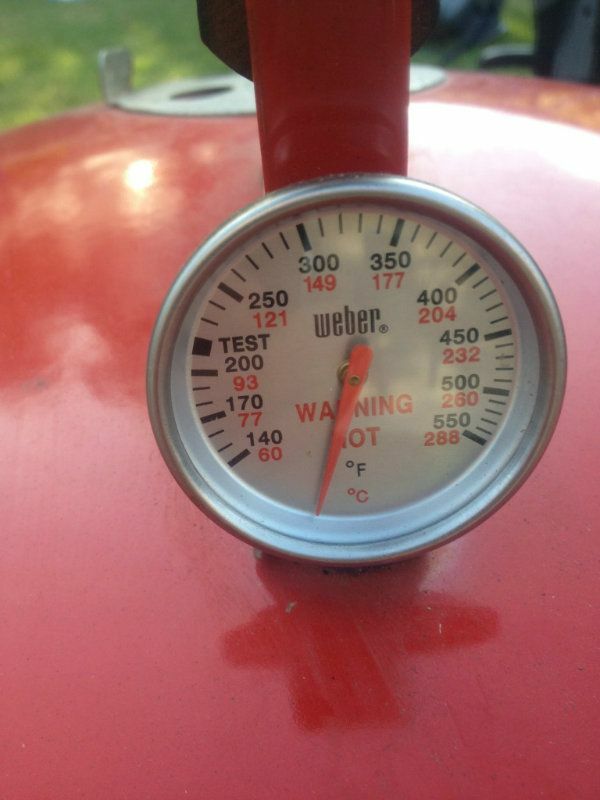 22.5" Blue OTG, Black Smokey Joe, Lime Green Smokey Joe, Brick red performer, Outlaw Red 22"
I have heard that the temp is higher at the top as opposed to the grate yes? 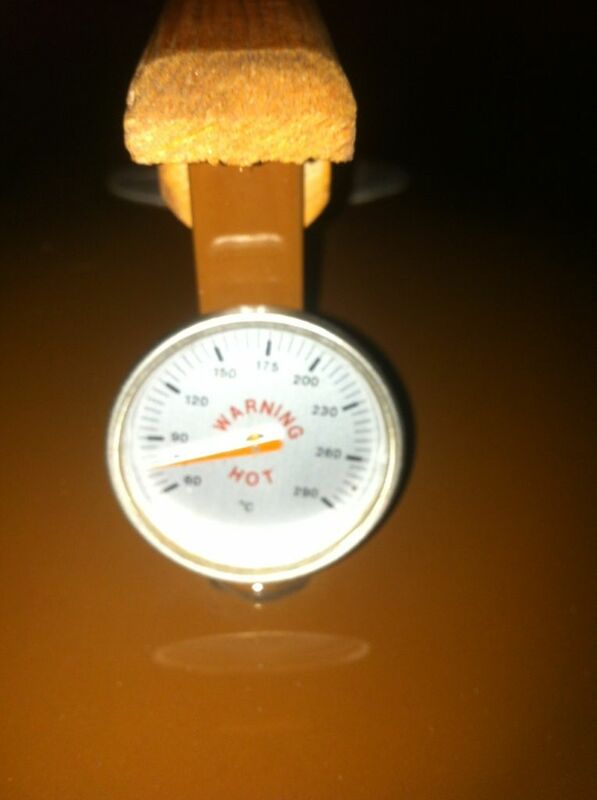 So if this is true how would you use the thermometers in the lid? Sorry for the hijack and silly question. 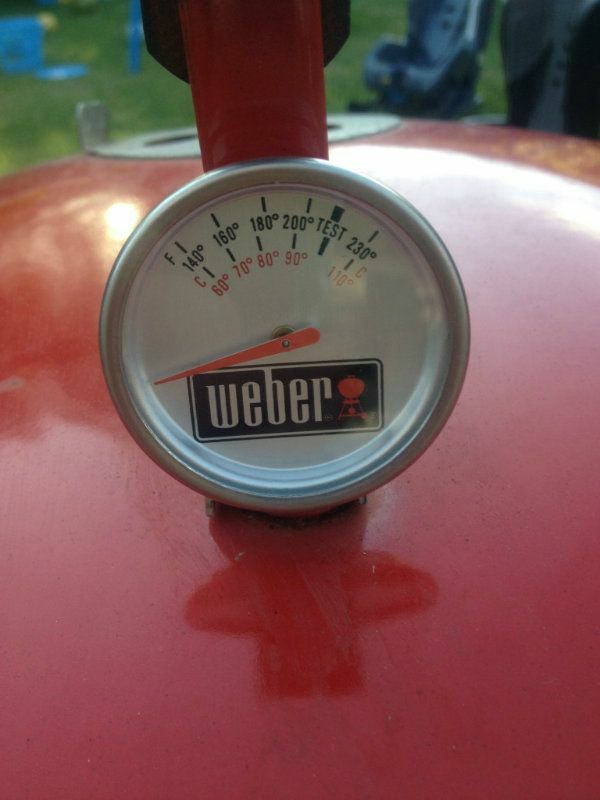 Is that a Weber therm? Or just a generic? That handle looks pretty rugged, did you get my package yet? Next time I need to order replacement lid thermos, I think it would be worthwhile to spend an extra $10 and get the Tel Tru calibratable ones. So you got them? You gonna be able to get a nice finish on them? Sounds like you got a rager going!